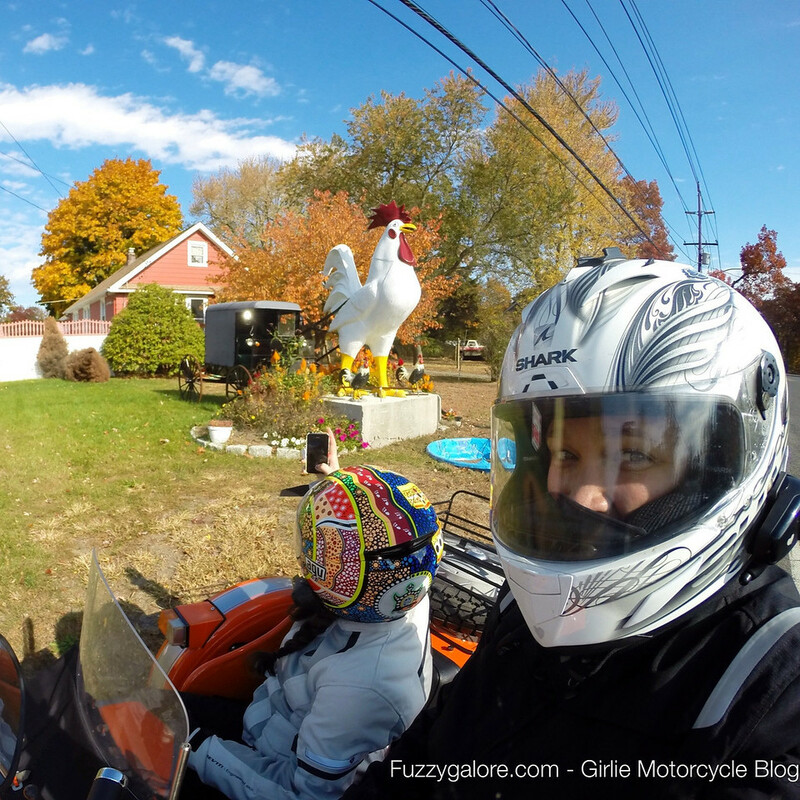 Could the giant chicken be the most popular fiberglass animal around? It seems like they’re everywhere. Unless, as Ive speculated before, it is the same one donning different disguises and following me around. That fiend! Have you seen any of these big cluckers around in your travels? There really should be a giant chicken registry to keep track of these buggers. I’ve never seen a giant chicken so I think you may be on to something. There is only one and it’s following you. Not something I’ve come across on this side of the pond. Did you come across any in the Alps? Don’t imagine they followed you there. Useless when it comes to flying as I understand it. No, I didn’t see any. But I DID see an inordinate amount of giant croissants! Right now I’m not so worried about the giant chicken army as I am about all the ginormous creepy-crawlies they must be consuming. Unless… No, tell me it ain’t so. Tell me they’re not plucking us off one by one?! Hmm. Maybe i can train one to eat my coworkers. Do you still get paid if you go on mental health leave? 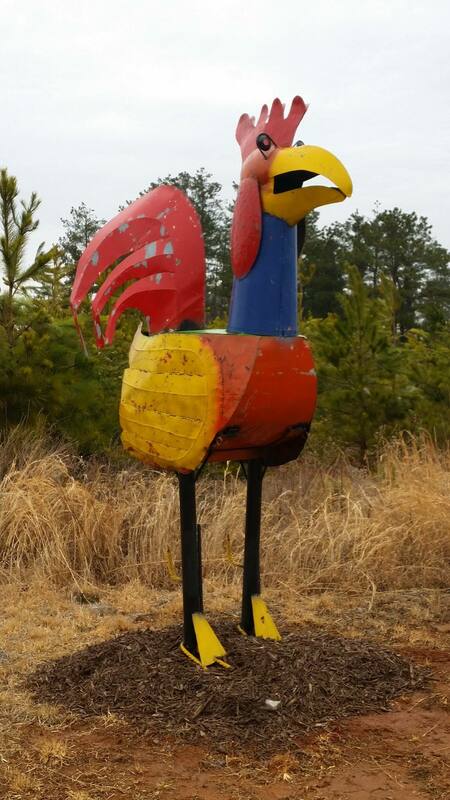 You should start a giant chicken database and have it added to RoadsideAmerica.com. They are pretty common.